Quarter 2 finals are taking place Tuesday, April 9th through Friday, April 12th at GPA! 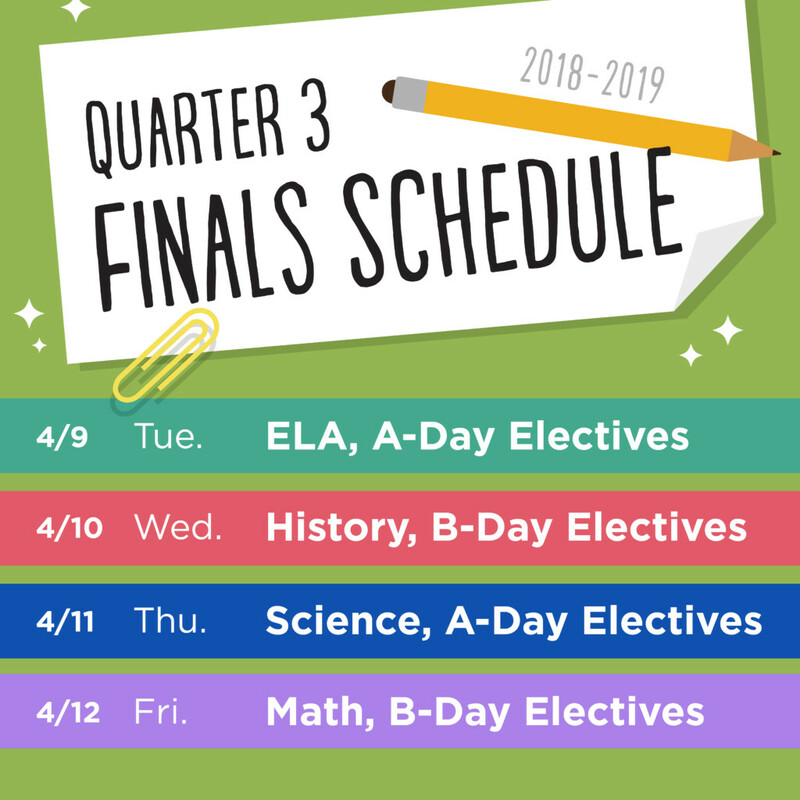 Finals will be taken in all courses according to the schedule below. Every student has received a study guide for each course that they should be actively studying daily until the day of their final. Quarter finals week is an important week at GPA. Please make sure your students are getting a good night’s sleep and arrive at school on time! Good luck, Eagles! We can’t wait to see what you know! Parent-Teacher Conferences begin Monday, April 15th through Friday, April 19th. Please take note that dismissal will be at 12:45pm for the entire week. Looking forward to seeing you there! To help enhance your studying for quarter finals and future exams, please check out our helpful Study Skills pamphlet below – available in both English and Spanish. GPA Senior Danny M. Receives Scholarship for Academic AchievementGPA Library's "Art with Poetry Contest" Invites You!